A beautiful, braided yeast bread filled with pesto.The braiding creates thin layers with lots of edges that crisp up and get golden brown in the oven. It looks complicated but each step is easy and the results are well worth the extra effort. Did you know October 16 is World Bread Day? Every year since 2006, hundreds of bloggers from all around the world bake bread for this special day. 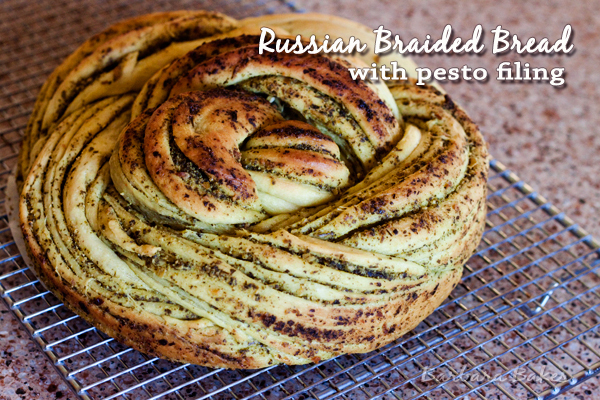 This year I’ve joined with the Bread Baking Babes and Buddies to make a Russian Braid. 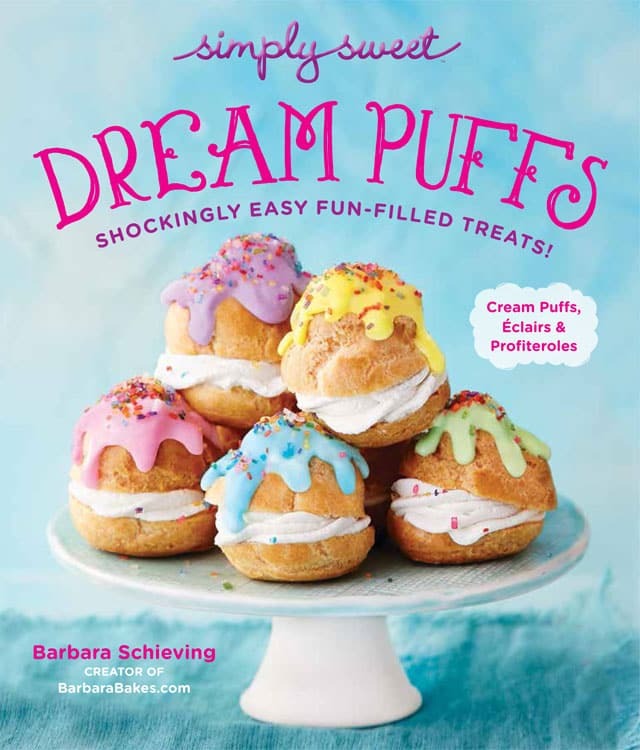 Mine is filled with a basil pesto but many BBB made sweet versions as well. There’s a great video of Chef Ciril Hitz making a sweet version of the bread and showing you step by step how to create this gorgeous bread. The yeast dough is rolled out into a rectangle, spread with pesto, rolled up, sliced in half, and then braided to create an elegant rose shaped bread. 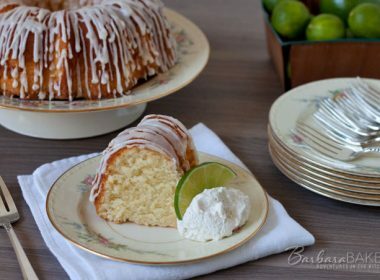 I adapted the recipe to use instant yeast in a Kitchen Aid mixer. The BBB recipe includes vinegar, which is added to help the dough rise better and create a crunchy crust. 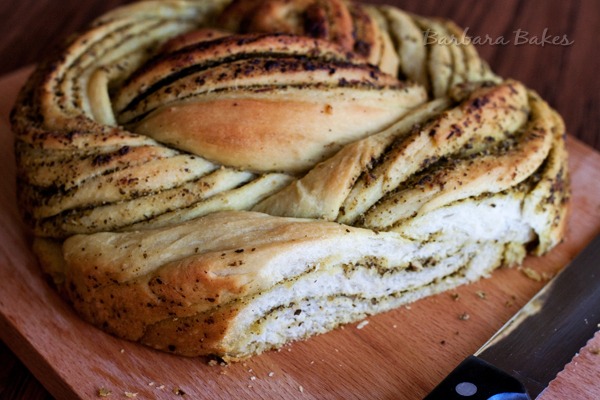 All the cut edges combine with the olive oil in the pesto make the crust on this bread extraordinary. I used half an 8 oz jar of pesto, use less if you want a more subtle pesto flavor. We all loved this bread, but my 1 year old grandson especially loved it. He gobbled it up as fast as we could tear it up for him and kept asking for more. I think it’s best eaten the day it’s baked while the crust is so crispy and delicious. In the bowl of a stand mixer, using the paddle attachment, combine 2 1/2 cups flour, yeast, sugar, and salt. Heat water and canola oil until warm (120°–130°F). Add to flour mixture. Add vinegar. Blend at low speed until well combined. Switch to the dough hook and mix in the remaining flour a little at a time, to make a soft dough that’s not sticky to the touch, adding more or less flour as needed. Knead the dough for 5 minutes. Place in a greased bowl, turning to grease the top. Cover; let rise in warm place until almost double. Preheat oven to 400º F. Grease a 9? springform pan, and line bottom with parchment; grease paper. Place on top of a baking sheet. Set aside. Punch down the dough. On a floured surface, roll the dough into very thin rectangle, as thin as you can (mine was 20” x 24”). Spread a thin layer of pesto on top of the dough (leave the bottom edge clear 1/2"). Start at the long edge and slowly, tightly and gently roll the dough into a log. Use a bench scraper to cut the dough in half lengthwise. Cross the two halves (layers facing up) to create an X shape; braid top and bottom of dough by laying the left piece over the right keeping the cut side up, until pieces of dough are tightly twisted. Pinch ends together. Start at the thinner edge and slowly and very gently, roll the braid into a giant snail shell or a very large cinnamon bun. Be careful to keep all the layers facing up. Pinch the end delicately. Carefully pick up the braid and place in the prepared springform. Cover; let rise in warm place until almost double. 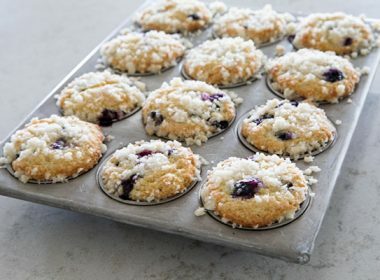 Bake at 400º for 5-10 minutes, lower oven temperature to 350º and bake for an additional 20-30 minutes. When the bread is out of the oven lightly brush olive oil on top and sides. Let cool on a rack. 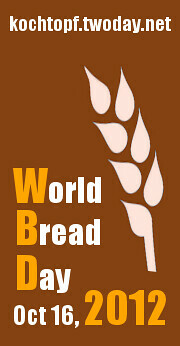 Visit World Bread Day to see all the beautiful breads bakers around the world baked for World Bread Day 2012. I’ve made this a few times and am in love with it! Trying a chocolate walnut desert filling variation as I type. I’m so excited to see how it turns out. The technique really makes it beautiful. 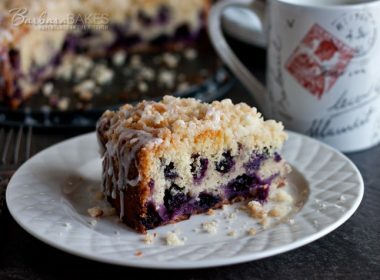 Thank you so much for the fantastic recipe! Hello, can I change the canola oil for olive oil? 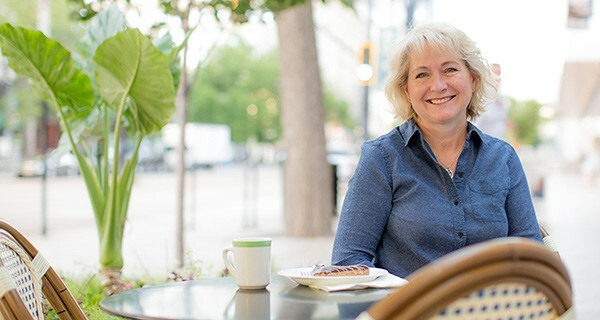 Hi Stephanie – yes, you can use canola oil if you prefer. Thanks Tiffany – yours looks gorgeous! Your loaf came out beautiful! I have this on its second rise now. My pesto must contain a lot more olive oil than yours did because man was that a mess trying to roll, cut and shape it. 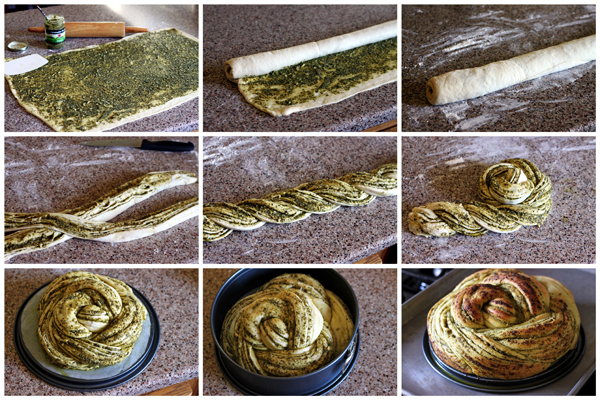 as I was gently rolling it up the pesto was squishing out ahead of the dough. If it ends up being any good I may try it again but add a layer of freshly grated Parmigiano Reggiano to help soak up some of the oil, and even go with a much thinner layer of pesto. Even though I thought I had a really thin layer as it was. This came out beautifully…and was so delicious. Thank you so much for sharing! 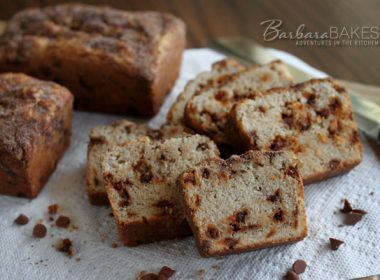 Barbara, I made this recipe and thoroughly enjoyed it. It’s so easy in spite of how complicated I thought it would be. Fabulous bread! Thanks Kelly! So glad you enjoyed it. You’re right, lots of steps but none of them are hard. This was a project I did not think I could achieve. I had read some other websites but they did not give precise direction as you have, including the step by step pictures. I was able to bake my russian rose with pesto last night. It came out beautiful and tasted great. Thank you so much for sharing. What a sweet comment! I’m so glad your bread tasted great and turned out beautifully, and that I could help. Thank you! Could you add cheese? Would it still bake as such? This is beautiful! Thanks Stephanie! 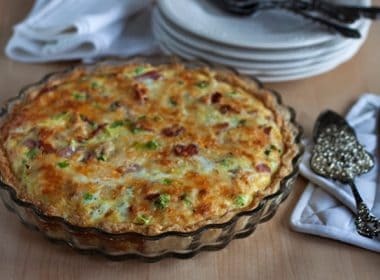 I think you could add some Parmesan cheese to the filling, or a good melting cheese on top the last ten minutes of baking.